AN INITIATIVE OF IIT AND IIM ALLUMINI! We bring a great opportunity to work on the live projects, both on and off campus. Have a real time work experience through internships. LIFE SKILLS, LIVE PROJECTS, CRT AND INTERNSHIPS. IKYA Global Edu has done extensive research on the quality of engineering and management students produced every year and we strongly believe that Final year project work along with relevant industrial exposure are few of the determining factors to get placed in reputed companies. 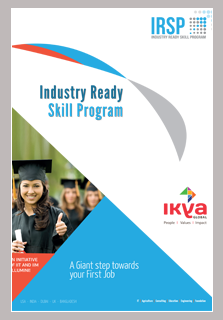 By considering the Industry requirements, IKYA Global Edu has come up with a unique program, for the final year engineering and MBA students in the form of “IRSP (Industry Ready Skill program)” to meet the growing needs of quality education and bridge the gap of employability, by training students smartly. The students, who successfully completed the IRSP program, will not just be Job ready but they will be Career Ready. We train the students to put their domain, functional knowledge into effective practice. These training modules are offered for final year engineering and MBA students after clearing a series of Screening Tests and Counseling Sessions. To impart technical/functional training to Engineering/MBA students so as to polish their capacities and prepare them for placement in different industries in their core specializations. To provide value added training programs which are industry specific and have an immediate relevance and use in the industry. Our training programs are designed to provide good domain, functional knowledge with high degree of competitive skills. Ilntensive Technical and Functional Training. Technical guest Lectures from the Industry. 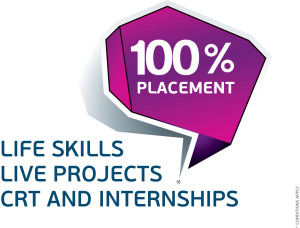 100% Placement Support & many more. Training by industry experts with a global exposure. Real life scenarios while working on the live projects. Course, Curriculum and Study Content developed by Industry Experts as per Current Industry Trends. Exposure to the real market situations – Practical oriented sessions. Extensive technology, functional training before initiation of live projects. Assistance in selecting the potential employers. Students can attain an opportunity to work with us. Training methodology updated constantly as per industry requirements.